Rainbow is one out of 100 artworks by Germany’s Otto Piene which will be showcased in Tehran Museum of Contemporary Art for three weeks. Between February 24 and April 17, the Tehran Museum of Contemporary Art (Tehran-MoCA) will play host to Rainbow, a collection of 100 works by Otto Piene*, a leading figure in kinetic and technology-based art. Museum’s director Majid Mollanoruzi said Tehran-MoCA, which aims to introduce artists and the techniques and styles of contemporary art, has so far put on display the works of two artists from Group ZERO, adding the retrospective will show the works of the third member of the movement. German Ambassador to Iran Michael Freiherr von Ungern-Sternberg said Germany and Iran are always identified as economic partners, but bilateral ties also cover the cultural front which is of high importance. As for the [30th] Fajr International Music Festival, he said a famous German musician who attended the festival is performing in Shiraz. Till Breckner, the director of the Galerie Breckner in Dusseldorf, said, “I was moved by the hospitality of the Iranians. 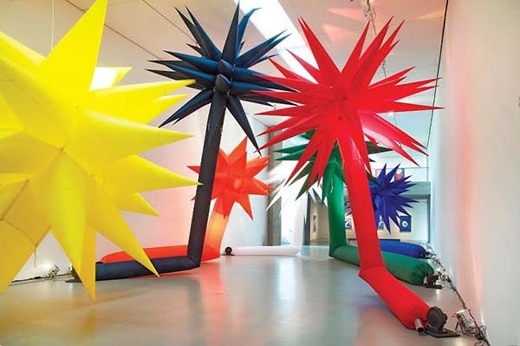 “When Mr. Piene received the museum’s invitation he became very happy, but unfortunately he passed away in July 2014. Nonetheless, his family decided to complete what he left unfinished”. 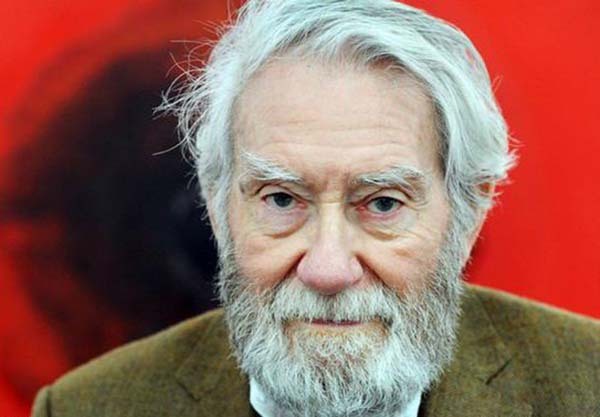 As for the reason why Piene’s works should be displayed in Iran, Breckner said, “Otto Piene fought in World War II as a soldier when he was 14. One year later he was taken captive. In his childhood he used to live mostly in darkness thanks to war and bombardments. He saw the light of day, literally, when the war came to an end. Thus for him, light was a symbol of peace … and he is now in Iran as an ambassador of peace with his works. Heinz-Gunther Thone, Piene’s art director, said, “Rainbow’s appearance in the sky is short-lived, but it is still a performance. For an artist, the colors of rainbow are among the purest made through the refraction of light. He said Piene’s artistic exploration of light at the Prague City Gallery in 2002 will be put on display in this museum. Piene was interested in creating an artwork for Iran, so he made “The colors of light” based on the tiles used in [Isfahan’s] Imam Mosque. Thone said he is interested to see the works of Iranian artists on show in Germany and added Iran is expected to take the first step. Otto Piene studied art and also took a degree in philosophy at Cologne University. He founded the influential European postwar movement Group Zero with Heinz Mack in 1957, to transform and redefine art in the aftermath of the Second World War. His most famous work was the Rainbow [the sky work made up of five differently colored helium-filled polythene tubes, each one 600m long] that lit up the Munich sky at the end of the 1972 Olympics.